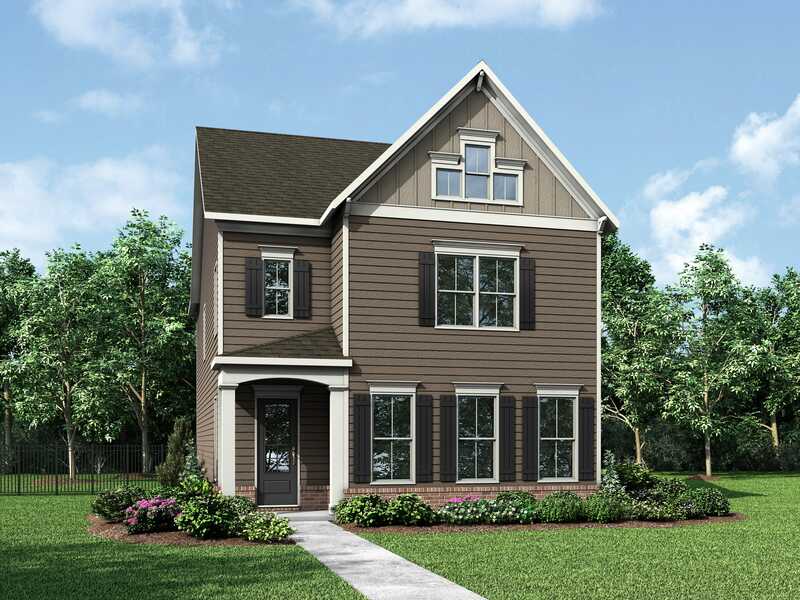 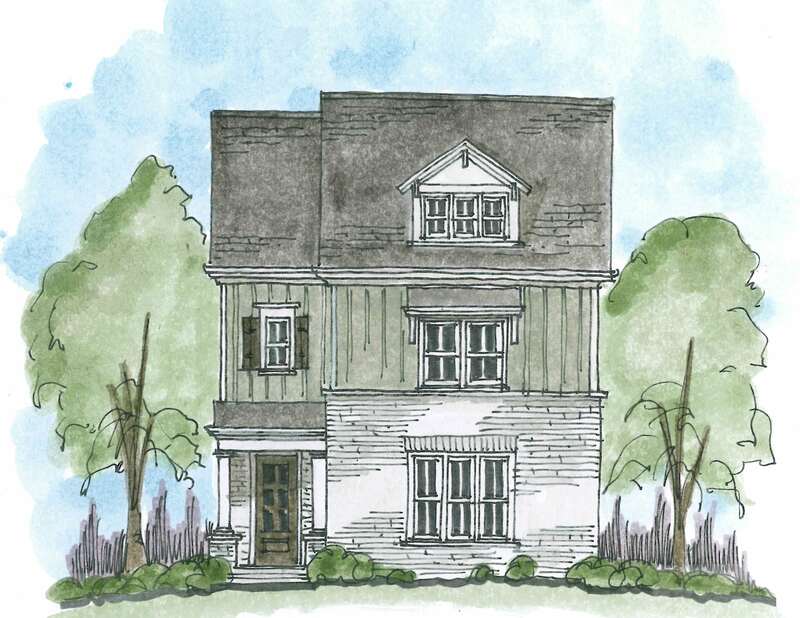 The captivating Campbell features a spacious, open main level that includes a gourmet island kitchen with walk-in pantry, family room with fireplace and dining room. 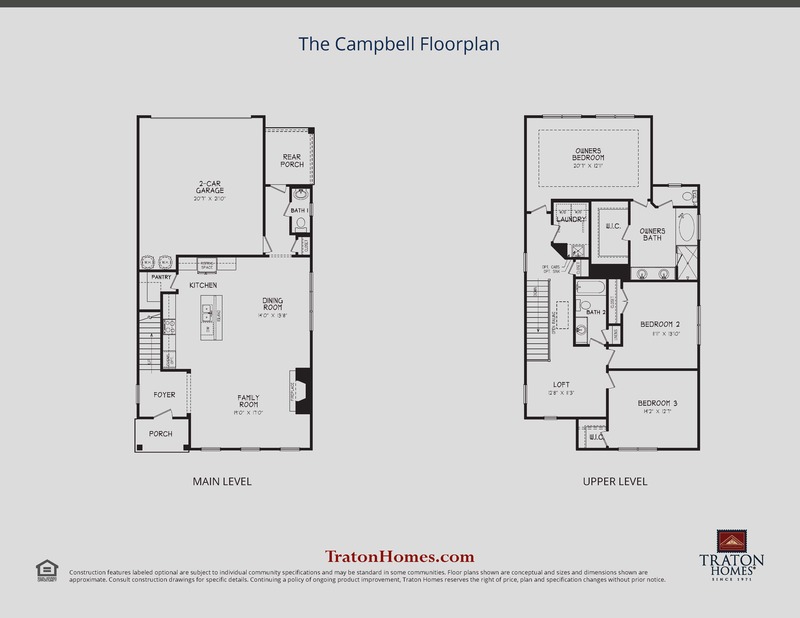 The upper level includes a cozy front loft, a large and elegant owner’s suite with huge walk-in closet and soaking tub, a convenient laundry located adjacent to the owner’s suite, and two additional bedrooms. 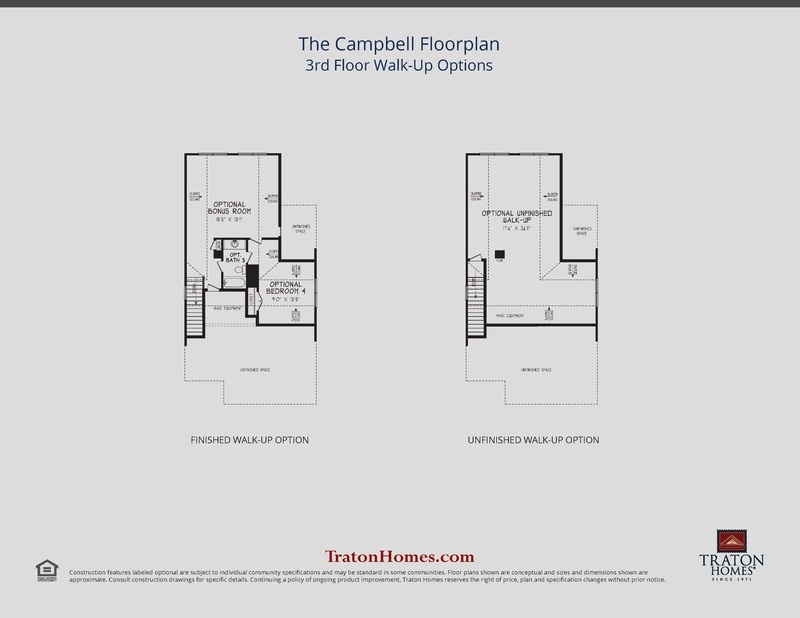 In addition to all the great standard features of this floorplan, a fantastic optional finished walk-up attic level is available adding even more space for family and friends.